Right from the finances to the logistics, the startup world comes with its own set of challenges with the vendors and customers not taking a serious note of your big idea, most of the times. Over and above all this, there is one set of people that can either make or break your company- The Human Resource. Starting off the journey in 2007, in the financial capital of India, Mumbai, InMobi was born and was founded as mKhoj, an SMS-based monetisation business. The founders had the ability to think big and had tremendous abilities to capture nascent markets. Starting with 8 employees, InMobi today has a reach of 1.5 billion customers and 20 offices worldwide. 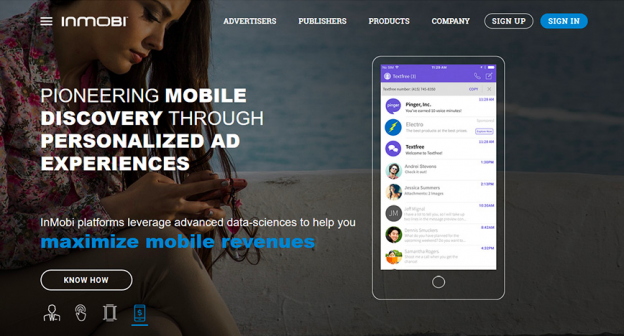 InMobi is a mobile advertising and discovery platform backed by Soft Bank, Kleiner Perkins Caufield Byers and Sherpalo Ventures, providing a data centric ability to discover new products and services by contextual and personalised advertising experiences on mobile phones. While most of the established organisations have the monetary luxury with well-defined HR policies, the HR for the startup has to struggle and do everything from scratch and retain the the best talents. As the numbers started growing, InMobi did witness disconnected culture and workforce. They soon realised their failure to manage the growth by creating an encouraging a culture that nurtured the growth and potential of everyone at the company. Corrective measures were taken which included some really bizarre policies to recruit, retain, engage and reward its employees. During the last three years of its existence, InMobi has experimented with some extremely new, refreshing and counter intuitive policies and structures. Learning and growth opportunity are the two things that InMobi strives for. People practices at InMobi are equally disruptive, innovative and game changing. It has initiated its own guidelines with regard to employee attendance, where the employees enjoy freedom with responsibility. According to their guidelines an employee does not require an approval from his supervisor for up to six days of leave. Moreover, everybody gets a 100 per cent bonus except the Sales team as their bonus depends on their sales performance. ‘Dream Big, Unite Passionately and Taking complete ownership of your actions’, InMobi fashioned its very own people culture, called YaWiO. The desire to start up something of your own is ever growing. InMobi is a strong supporter for budding entrepreneurs. If any employee wants to quit InMobi to start something of his own, a new venture, the organisation does everything possible to support them. Conversations drive the Performance Appraisal at Inmobi. Its focus is not on assessing the past but on how to improve growth in the future. Ranking, and other traditional methods of performance appraisal are eliminated. The employees measure themselves on the goals that they set for themselves. And conversations with peers and managers reflects a deep desire to improve, and get feedback to attain and work positively towards that aspiration. InMobi has focussed on its culture to make it a competitive advantage in retaining and attracting the best talents in the industry. Bridging the opportunities, the employees can take up internships in other functions, apart from their normal roles. So, someone in HR can learn about sales, finance or product management. The company boosts a vibrant workplace enabling free communication without any barriers of hierarchy. There are no cabins! The employees are openly acknowledged and rewarded for their good work with quirky awards like Oscars, Emmy, Golden Globe etc. It is a tough ask for any company to continue to be a preferred employer all the times and InMobi strikes all the right cords.